Labour conditions in Britain, to paraphrase the old slogan, are not working. The newly-published findings of the 2017 Skills and Employment Survey do not paint a rosy picture. British workers are under more pressure at work than at any time in the past 25 years. They work harder, faster and with less control than before. About 55 per cent of women and 47 per cent of men frequently go home exhausted. Why has the work situation deteriorated so sharply in a way that is so detrimental to wellbeing? Technology is one factor: it makes it easier for employers to monitor workers, causes distraction at work and makes it harder to “switch off” at home. Meanwhile, the proportion of workers who have a lot of discretion over how they do their jobs (a key determinant of wellbeing) has declined to 38 per cent (from 62 per cent in 1992). Academic research suggests that the combination of hard work and no control is a source of stress, anxiety and higher risk of cardiac illness. The survey also sheds light on the negative impact of unexpected changes to hours of work – particularly prevalent in the gig economy. Ironically, in spite of longer hours and strictures intended to be business positive, UK workers produce16 per cent less per hour than the average worker in most other developed countries and productivity is not significantly higher than when the Great Financial Crisis started a decade ago. The survey doesn’t say, but it may well be that the British worker is so unproductive (in relative terms) because he or she is so unwell. Over the past few months, a handful of studies have shown that shorter working hours can trigger an increase in productivity – a win-win for all. Employee wellbeing is often a legal duty of care for employers. But diverse examples show it’s increasingly being recognized for other reasons. In the UK, the duty of care is written into the Health and Safety at Work Act 1995; companies and organisations failing in that duty can be found guilty of corporate manslaughter. Now the narrative is changing in a more subtle way, with evidence coming from public and private sector worldwide. Jacinda Ardern, Prime Minister of New Zealand recently addressed the UN general Assembly calling for ‘kindness’ as a multilateral concept. The GM at the Hyatt Tokyo highlighted hospitality as ‘a very egalitarian thing, rooted in empathy and care’. And NIKE’s controversial campaign featuring Colin Kaepernick saw its stock price soar despite the political backlash. There’s also a clear business case for such measures with a reported 10-13% increase in productivity that is difficult to ignore. But remember that duty of care is not optional. It counts as much when employees are travelling on business to culturally challenging countries as it does when they are put under excessive pressure to perform. The wellbeing economy is booming, but global health stats, particularly in developed countries, remain poor. A new global study by WHO, which assessed 1.9 million participants across 168 countries, found that the global level of physical inactivity amongst adults remains largely unchanged since 2001. Women were less inactive than men (32% men vs 23% women). And high income countries showed themselves to be more inactive (37%) than middle income (26%) and low income countries (16%). These numbers come in spite of the surge in fitness venues, wellbeing focused business and the wellness economy. In the UK for example, fitness facilities and usage have grown to record levels with the help of budget brands such as Pure Gyms. But inactivity amongst Brits has increased by 5% over the last five years. Does provision need to be free? In China, the FitFam community launched in 2015 in Shanghai, providing free core fitness sessions for locals. It now operates in Beijing, Grenoble and Kuala Lumpur and has 5000 members. Making wellbeing businesses work commercially is critical but so too is making sure the appetite and inspiration is stoked toward results that mean healthier lives whether in the workplace, schools or at home. 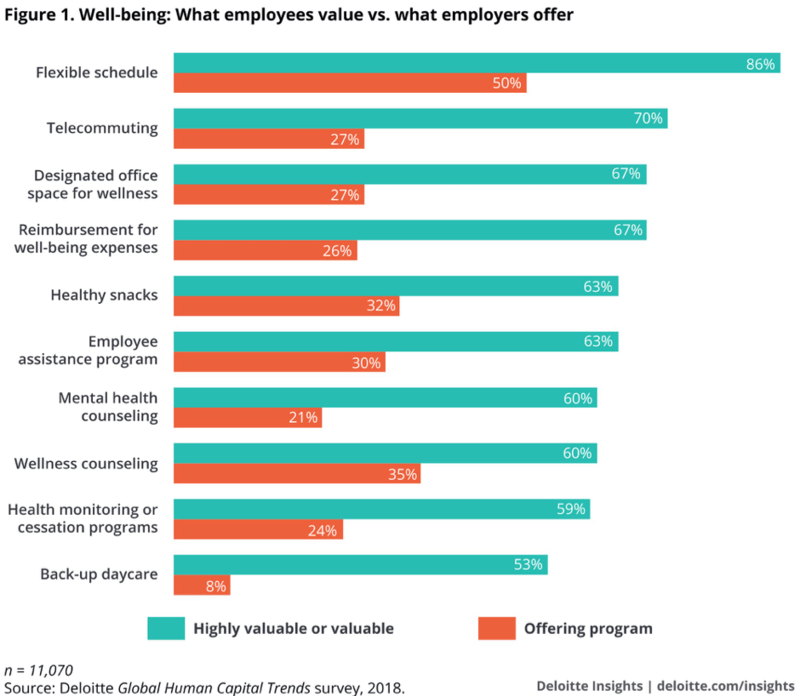 This sentiment is relevant across the entire spectrum of wellness services and workplace programmes being offered – greater awareness of, and commitment to increased human wellbeing is no longer an optional veneer.